House Democrats passed net neutrality legislation last week as the Senate, after the GOP truncated debate time for nominations, voted to confirm seven of President Donald Trump’s nominees, including David Bernhardt for Interior secretary. All Nevada House Democrats voted for the net neutrality measure, which would prohibit internet service providers from engaging in paid prioritization; empower the Federal Communications Commission to stop discriminatory practices; ensure broadband access for start-ups, small businesses, and entrepreneurs; and promote deployment and access to broadband around the nation. Net neutrality is shorthand for the idea that the internet should be regulated like a public utility, and internet providers should be prevented from blocking websites or charging for higher-quality service for certain websites. The measure passed 232 to 190 with only one Republican in support. But that wasn’t GOP Rep. Mark Amodei who was home sick and did not vote last week. The House was only in session three days last week because the Democrats went on their issues retreat, which began Wednesday afternoon. Amodei will be taking meetings in his district during the two-week spring congressional recess, his office said. He met with a group of Girl Scouts on Thursday. Support for the net neutrality measure, and opposition to a Republican proposal to include language that would prevent the bill from taxing the internet, drew criticism from National Republican Congressional Committee spokeswoman Torunn Sinclair who singled out Rep. Steven Horsford. Broadband was also a topic of discussion in the Senate last week. At a hearing on Wednesday, Sen. Jacky Rosen talked about the hurdles faced by Nevada’s rural communities. The hearing focused on efforts to collect data to improve the accuracy of nationwide broadband coverage maps, which help identify gaps and substandard speeds in existing networks. These maps, which often do not capture the lack of coverage in rural areas, are important because they are used by federal agencies to direct broadband development funding. Rosen, a former software developer, said that what’s needed is reliable, open source, aggregate data, that accurately reflects availability and usage, while protecting individuals’ privacy. She said that broadband in the state, which is vast and mountainous, can be spotty at best in rural areas. The Senate also approved seven of Trump’s nominees. Bernhardt was approved on a 56 to 41 vote with both Rosen and Sen. Catherine Cortez Masto opposing him. The spate of confirmations comes on the heels of a GOP effort that sped up the procedure to confirm the president’s nominations. Senate Republicans used the so-called nuclear option, which allowed them to change the procedure on a simple majority vote. Under the new process, the Senate can continue to debate a nominee for up to two hours, rather than 30, after voting to cut off debate. Despite the partisan acrimony spurred by the change, last week saw a rare moment of bipartisanship when the Senate approved by 92 to 7 the nomination of Nevada’s own Gen. John Abizaid to be U.S. Ambassador to Saudi Arabia. A four-star general and the longest serving commander of United States Central Command, Abizaid hails from Northern Nevada and relocated to Gardnerville after retiring in 2007. Both Cortez Masto and Rosen supported Abizaid’s confirmation. The newly confirmed Abizaid will have his work cut out for him as tensions are high between Congress and the kingdom following the murder of Virginia resident and Washington Post columnist Jamal Khashoggi. Congress voted to withdraw military support for Saudi Arabia in Yemen, in part, over the Khashoggi murder, but Trump is expected to veto the resolution. In the House, Horsford attended a hearing Wednesday on the budget for the Bureau of Land Management (BLM), which is part of the Interior Department, and the Forest Service. In Nevada, the Forest Service manages approximately 3.5 million acres of national forest, while the Bureau of Land Management controls 67 percent of the land, totaling about 48 million acres. Horsford chastised administration officials for proposing to cut funding to the BLM to $1.2 billion from the $1.3 billion provided last fiscal year. The Forest Service was cut by $900 million to $5.1 billion. He also questioned a proposed 95 percent cut to the Land and Water Conservation Fund, which uses money from offshore oil and gas leasing for public-lands conservation. The House Ways and Means Committee approved legislation introduced recently by Horsford that would require drug manufacturers to publicly justify large price increases and high prices when new drugs are first sold to consumers. At a Tuesday markup on the bill, he cited a 197 percent increase in the price of insulin between 2002 and 2013. He also pointed to the increase of Duexis, an anti-inflammatory used to treat arthritis, that rose from $140 in 2011 to $2,979 for 90 pills by 2018. “It is unconscionable the drugs like insulin, which have been available for nearly a century are becoming inaccessible,” Horsford said. To illustrate the increase, Horsford brought a gallon of milk to the hearing, which he said cost about $5.00. “If we compare the rate of increase of insulin to the price of a gallon of milk, a $5 gallon of milk would now cost, $14.85,” Horsford continued. Horsford also saluted Democratic state Sen. Yvanna Cancela. She spearheaded passage of a similar measure that became a state law in 2017. “I’m proud that Nevada has served as a leading example for this body and the rest of the country,” Horsford said. Horsford was also on hand at a press conference Tuesday when five Democratic House committee chairmen sent letters to the Department of Justice (DOJ), the Department of Health and Human Services (HHS), and the White House requesting documents and information regarding the involvement of White House in the decision to not defend the constitutionality of the Affordable Care Act in a lawsuit in Texas. Horsford praised former Gov. Brian Sandoval, a Republican, for enacting a state health-care exchange and expanding Medicaid under the ACA. “The administration owes answers to the American people and we intend to get them,” Horsford continued. Earlier this month, the Democrats voted to pass a resolution chiding President Donald Trump after the Department of Justice wrote a letter in March to the 5th Circuit, where the Texas case is being appealed, stating that the agency supports the ruling of a lower court judge that the entire law is unconstitutional. The suit, brought by 20 GOP state attorneys general, argued that the law was invalidated after the mandate to buy health insurance was repealed as part of a GOP-authored tax reform package was enacted in 2017. The ruling is being appealed by 17 Democratic attorneys general, including Aaron Ford. Rep. Dina Titus held her first hearing last week as chairman of the Transportation and Infrastructure Committee’s Economic Development, Public Buildings, and Emergency Management Subcommittee. The hearing focused on the Commerce Department’s Economic Development Administration (EDA). The EDA, which provides grants to help needy communities, is currently led by former Rep. John Fleming, a Republican from Louisiana. Titus’ first question was about his previous votes while he was a member of Congress to eliminate the EDA. Fleming praised the EDA, noting that for every dollar spent, $15 dollars in private investment are generated. He said he cast his votes in favor of scrapping the agency because his constituents sent him to Congress to cut spending and reduce the deficit. Despite his praise for the agency, he said he supports the president’s budget proposal, which also includes the elimination of the EDA. Rep. Susie Lee introduced a bill that would boost Title I, Part A funding for schools with high numbers or high percentages of children from low-income families and for special education grants to states under the Individuals with Disabilities Education Act (IDEA). “In Clark County, where I come from, more than one in 10 students rely on IDEA funding and over six in 10 students rely on Title I funding,” Lee said at a press conference unveiling the measure. According to the National Education Association, since 2011 Title I, Part A has failed to keep pace with inflation and the number of eligible children. Funding for the program in Nevada fell nearly $250 million below full funding in fiscal 2017, the NEA said. IDEA calls on the federal government to fund 40 percent of the cost of special education, but Congress has never fully funded the law. Currently, IDEA state grants are funded at just 14.7 percent, according to Lee’s office. Members of the delegation also celebrated the state receiving $13.7 million, including $5 million for Las Vegas under the Urban Area Security Initiative program, which is designed to help metropolitan areas prevent, mitigate, respond to and recover from acts of terrorism. The state also received $4.5 million under the Emergency Management Performance Grant program and $4.1 million through the State Homeland Security Program. “With this increased security infrastructure, local law enforcement will have access to additional resources to keep Nevadans and tourists safe.” Rosen and Cortez Masto said in a joint statement. S. 1200 – A bill to create protections for depository institutions that provide financial services to cannabis-related legitimate businesses and service providers for such businesses, and for other purposes. S. 1195 – A bill to amend title 38, United States Code, to clarify presumption relating to the exposure of certain veterans who served in the vicinity of the Republic of Vietnam, and for other purposes. S. 1192 – A bill to set minimum standards for tax return preparers. 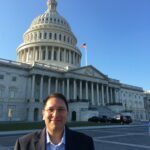 S. 1180 – A bill to extend the full Federal medical assistance percentage to urban Indian organizations. S. 1147 – A bill to amend the Federal Election Campaign Act of 1971 to provide for additional disclosure requirements for corporations, labor organizations, Super PACs and other entities, and for other purposes. S. 1138 – A bill to amend the Internal Revenue Code of 1986 to expand the earned income and child tax credits, and for other purposes. S. 1095 – A bill to enable the payment of certain officers and employees of the United States whose employment is authorized under the Deferred Action for Childhood Arrivals program, and for other purposes. S. 1203 – A bill to amend the Higher Education Act of 1965 in order to improve the public service loan forgiveness program, and for other purposes. S. 1086 – A bill to establish certain duties for pharmacies to ensure provision of Food and Drug Administration-approved contraception, medication related to contraception, and for other purposes. S. 1082 – A bill to prevent discrimination and harassment in employment. H.R. 2219 – To promote United States-Mongolia trade by authorizing duty-free treatment for certain imports from Mongolia, and for other purposes. H.R. 2197 – To amend the John F. Kennedy Center Act to authorize appropriations for the John F. Kennedy Center for the Performing Arts, and for other purposes. H.R. 2143 – To prevent wasteful and abusive billing of ancillary services to the Medicare program, and for other purposes. H.R. 2207 – To amend the Internal Revenue Code of 1986 to repeal the excise tax on medical devices. H.R. 2210 – To amend the Internal Revenue Code of 1986 to repeal certain provisions applicable to foreign investment in United States real property.